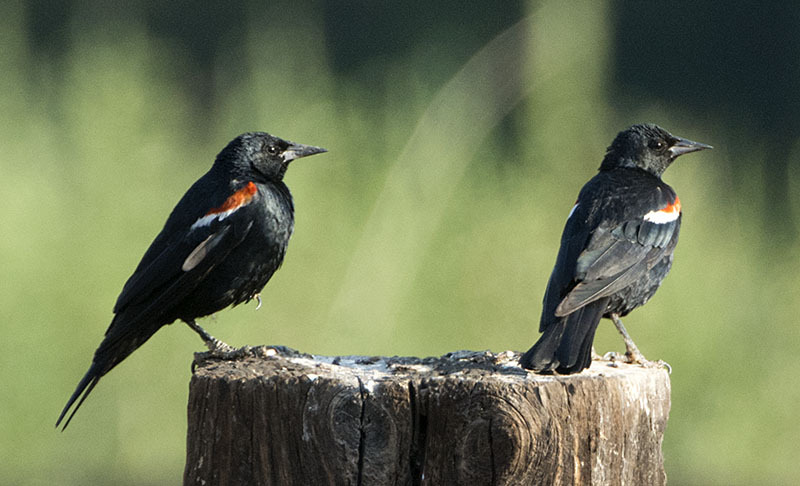 Tricolored Blackbird #1 - Tricolored Blackbirds show a white, not yellow patch on their "red wings". 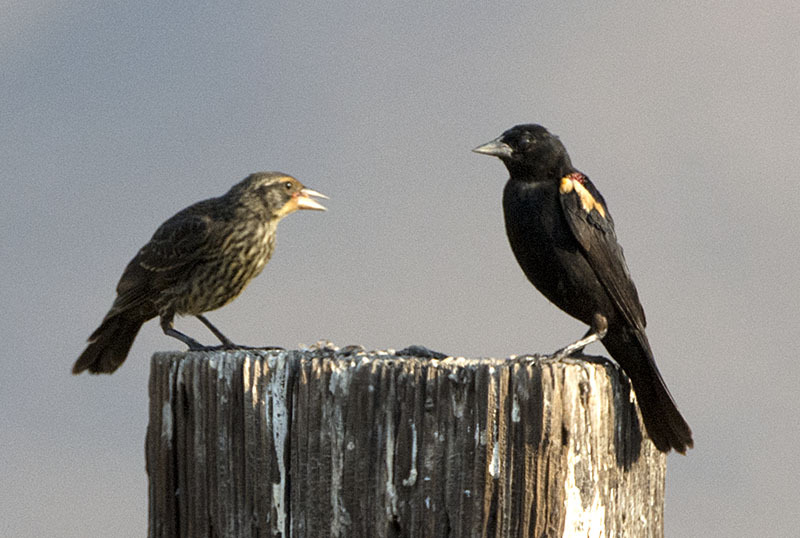 Tricolored Blackbird #3 - Subtle differences in bill shape, vocalizations, and habitat preference separate the Tricolored from the Red-winged Blackbirds. 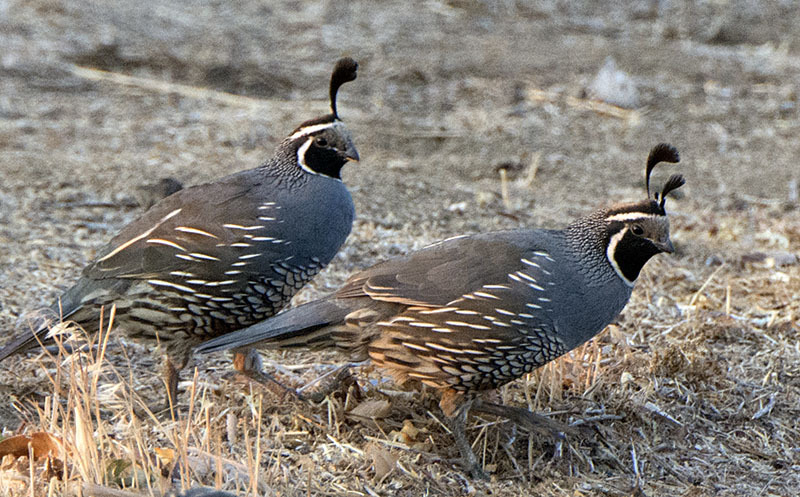 California Quail #1 - A common bird along roadsides. 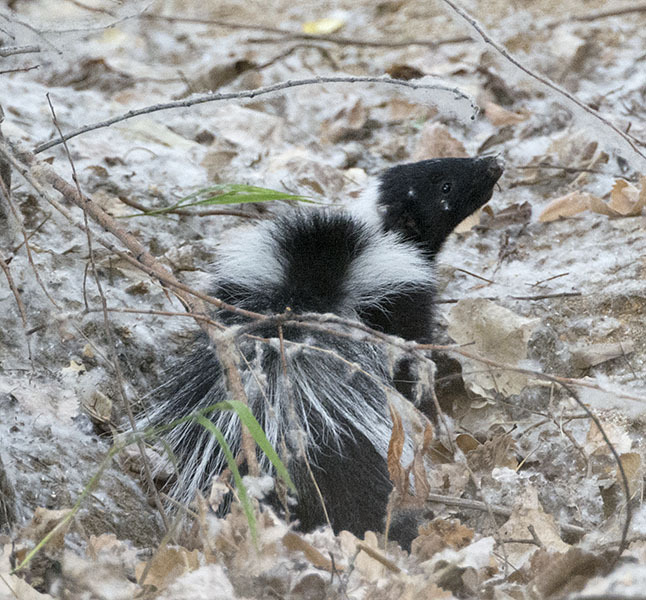 Striped Skunk #2 - Foraging along the roadside at dusk.